Gonzaga catcher Doug Demetre knew his pitchers. He talked up one, Billy Walker, to The Spokane Spokesman-Review in April 1990. "You've got to look for his fastball," Demetre told The Spokesman-Review of Walker, "and if you're looking for anything else, it's all over. And if you look for the fastball, he'll still beat you. I mean, it's really a no-win situation." Demetre went on to take his catching skills from Gonzaga to the pros. His pro career, however, was brief. He got into just 20 games. 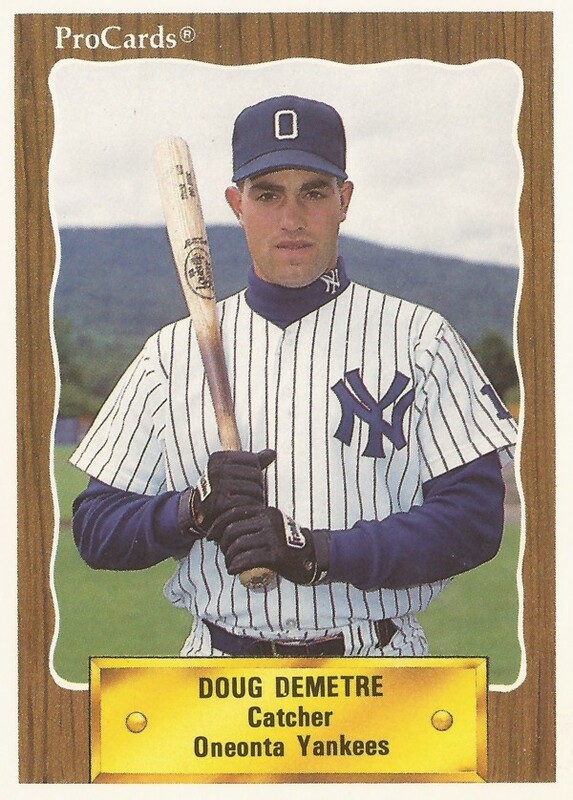 Demetre's brief career began and ended in 1990, signed by the Yankees as an amateur free agent out of Gonzaga. Demetre went to Gonzaga out of Juanita High School in Kirkland, Wa. As a youth, Demetre was part of a team that made the Little League World Series. At Gonzaga, Demetre hit a two-run home run in a March 1990 game, then a bases-loaded double in an April 1990 contest. Demetre came out of Gonzaga in 1990 and the Yankees assigned him to short-season Oneonta. He got into 20 games and hit .204. He hit one home run and knocked in 12. It was his only season as a pro. Demetre has gone on to continue in the game, coaching in high school and junior college. He also coaches a youth travel baseball team.